The world of skincare is constantly changing. New products and trends aimed toward improving our complexions are popping up daily. From supplements to diets to moisturizers, the beauty industry is taking a new approach to skincare. However, not all of the latest crazes are backed by science. 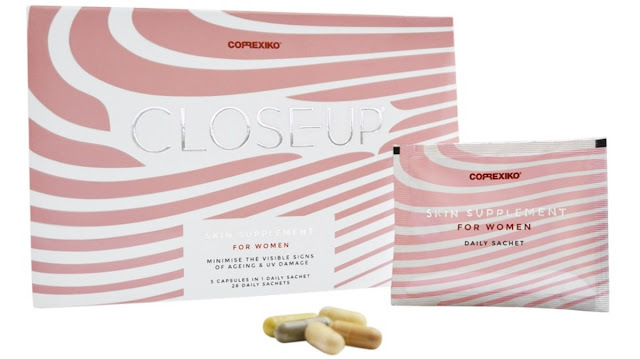 The founders of Correxiko will help you navigate this confusing topic so that you can make worthwhile investments to keep your skin nourished and radiant. Here are 10 of the best ways to improve your complexion. Healthy fats are essential for the wellbeing of the skin. The beneficial fats found in foods like avocados, nuts, seeds, olive oil, coconut and fatty fish are vital for skin elasticity and are the key component of cell membranes, which protect the skin cells by keeping them hydrated and allowing important nutrients into the skin. Omega 3 fatty acids, a type of fat, act as potent antioxidants in the body, reducing inflammation and protecting the skin from free radical damage and premature aging.4 Longer chain omega 3 fatty acids called EPA and DHA, which are most beneficial to the body, are found exclusively in seafood and algae. Although it is possible for the body to create EPA and DHA from the shorter chain omega 3 fatty acid ALA, which is found in plant foods like flax, pumpkin seeds, hemp, soy and walnuts, the conversion rate is very limited, with reported rates of less than 15%. Eating a diet rich in green leafy vegetables is a must for beautiful skin. Greens like kale, spinach, and Swiss chard are packed with nutrients that directly benefit the complexion. Vitamin K, a fat-soluble vitamin found in these nutritious veggies, works to protect elastin, a protein that preserves the structure and elasticity of the skin.5Magnesium, which combats inflammation, and calcium7, which is involved in the generation of new skin cells8, are both abundant in these greens. Greens also provide other benefits including high doses of anti-inflammatory compounds and a healthy serving of fiber. Fiber slows digestion, allowing your body to absorb the nutrients it needs to keep you looking lovely. Vitamin C, found in strawberries, mangos, bell peppers, kale, and many other fruits and vegetables plays a crucial role in skin health. This vitamin protects the skin against sun damage and is involved in the synthesis of collagen. Collagen is a protein that is necessary to keep the skin looking young and luminous. As we age collagen production slows, leading to wrinkles and sagging skin.12 A diet rich in vitamin C will help to prevent skin breakdown and signs of early aging by aiding in the generation of new skin cells. In one groundbreaking research study conducted on 4025 women, lower intakes of vitamin c were significantly associated with the presence of a wrinkled appearance and senile dryness.14 All the more reason to eat your fruits and veggies.